Florida in February is Fabulous! We are having a super time. Presently we are staying at a resort hotel (you will hear more about that later). 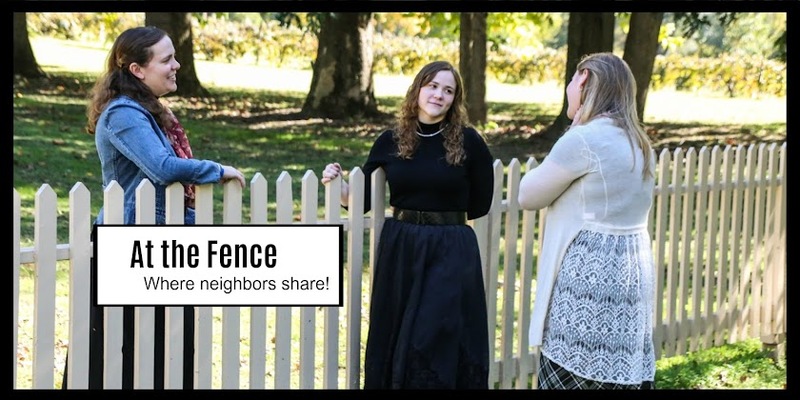 First I want to share a really handy product to have with you on a trip. 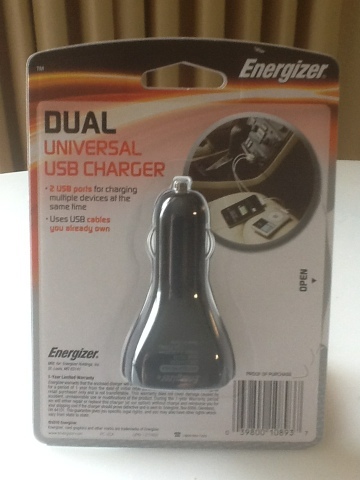 It is the Energizer Dual Universal USB Charger. This turns your car outlet into a charging station! This means you can charge your phone, iPod, iPad, etc. as long as it can be charged via USB. And the good news is you can charge two items at the same time. When you consider my family, we have several items that constantly need charging. We have 4 phones with us this trip, along with 3 iPods, 2 tablets, 1 iPad, and a couple MP3 players. We have to take turns using the USB Charger! We could use a couple of these! Anyway, how many times on a trip, or otherwise have you wished you had a place to recharge a phone, MP3 Player or iPod? I have. We have even asked restaurants if we could plug in while we are dining just to get enough of a charge to help keep us going. I know, I know, what did we do before all the little electronic gadgets? We waited to use a pay phone or until we arrived at our destination. And now we get frustrated if our electronics don't work how we want, when we want. AMAZING! Energizer® Universal USB Chargers can turn your outlets into a USB charging station. Compact and lightweight, the dual charger is designed to charge up to two devices at the same time. Now you can charge devices from multiple manufacturers with one charger. At home or on the move, Energizer Universal USB Chargers keep your devices charged and ready to help you get through the day. Anyway if you are planning a trip soon, or just happen to use your small electronics in the vehicle all the time, you might want to check into the Dual Universal USB Charger. They also have a single one available for those who need it. Energizer has many other handy products for trips, including flashlights, batteries, nightlights, etc. 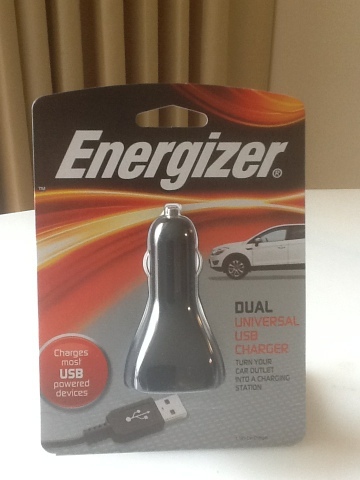 One neighbor will receive their own Energizer Dual Universal USB Charger. Disclosure:I received no monetary compensation for this post. 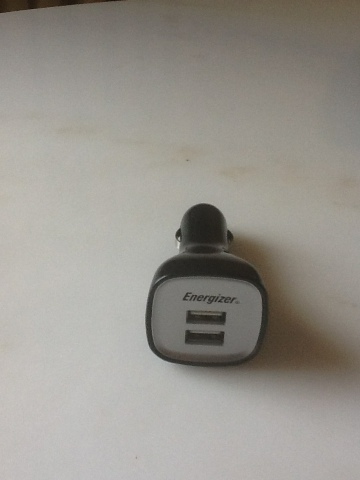 I did receive an Energizer USB Charger for review purposes. All quotes in red are taken from the sponsor's email or website. All thoughts and opinions are my own. I would like to see the Power & Play Charging System for XBox 360 reviewed. I would like to see the Design Under-Cabinet Light reviewed next. Thanks! The Energizer Emergency Weather Station! 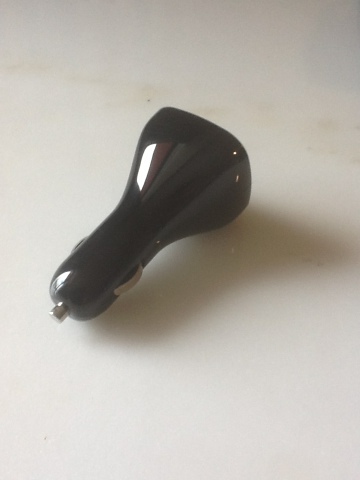 I'd like to see the Ambiana Desk Light reviewed. What a cool lamp! I'd like to see you review the Energizer® 5 Watt Premium USB Wall Charger and Apple Cable. I'd like to see the flameless candles reviewed. Energizer® Solar™ LED Lantern sounds good. I think the Ambiana Desk Light is nice.